Growing herbs in pots is one of the easiest ways to have fresh herbs at your fingertips. There are just a few basic principles to follow that will determine your success. Provide your herbs with these 6 essential elements, and you will create a healthy container herb garden that will provide you with an abundant harvest. Almost all culinary herbs require full sun. Position your sun-loving herb plants where they will receive 8 or more hours of sun. Parsley, Chives, and Mints are a few culinary herbs that will also do well in partial sun. For these herbs, a location that receives morning sun can work just as well. See the chart at the bottom for the sun requirements of the most common culinary herbs or check the label on your plant. The really great thing about having a potted herb garden is you can move the pots throughout the growing season to ensure they receive the right amount of sun. As the summer goes on the sun gets higher in the sky, so this may change the location in your garden that is best for your potted herbs. 2 – Select The Right Sized Pot With Good Drainage. When growing herbs in pots, make sure the pots have good drainage and are large enough to support the plant’s root system. Larger containers will also need to be watered less frequently, so this may weigh in on your decision. A large planter with several of your favorite herbs planted together can be an easy & efficient way to design your potted herb garden. For additional information on choosing the correct herb pots read the article on Container Herb Gardening. The white granules shown in this potting mix are perlite & help to improve drainage in your pots. Choose a potting mix 1-quart for growing in pots. Potted herbs require soil with additional drainage. This is true for growing herbs in pots inside as well as outside. A perfect potting mix for containers is one that holds the moisture in but still drains well. Don’t ever use the soil from your garden to fill your herb containers. Outdoor garden soil from the ground is much too compact to be used in a container garden. When wet, some types of garden soil will get so compacted it will basically smother your plants. Even when planted in soil, the plant’s roots need oxygen to survive. You can make your own potting soil with peat moss or coco peat, coarse sand, and either perlite or vermiculite. If you plan on having a large potted herb garden, this can be a very economical way to make your potting soil. You can use an empty trash can or even a wheel barrel to mix the materials. As long as you are growing outside, you can also add compost to your potting soil mix. This will help to feed your herbs. Better Homes & Gardens gives the following recipe to make an All-Purpose Potting Mix which is perfect for growing herbs in pots. 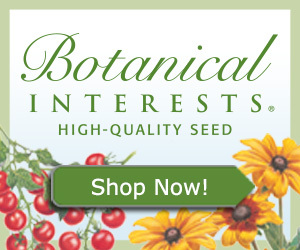 Use this nutrient-rich blend when planting or replacing plants in containers. Another homemade potting mix specifically suggested for vegetable & herb containers by the University of Illinois Extension. This recipe will make two bushels of potting mix and includes the correct fertilizer for growing herbs in pots. Slow release granular fertilizer such as 5-10-5 (1 cup). 4- Water On A Regular Basis. When growing herbs in containers, the soil will dry out more quickly than herbs planted in the ground. Set up a watering schedule to make sure your pots do not dry out. Watering in the early morning or evening hours is best, so the water does not evaporate as quickly. Adjust the schedule as needed through the season. You may need to water less in the spring during the rainy season & more during the hot dry days of summer. If you don’t think you will remember to water your potted herb garden or if you will be away on vacation, consider one of these solutions which can help make sure your herbs receive the water they need. Since growing herbs in pots has become so popular, there are many helpful products which can make your life a little easier. These work by including a reservoir in the bottom of the pot that will hold extra water. You fill the reservoir normally through a pipe or tube that comes up at the top of the pot. The plant draws the water up through its roots, which is a very efficient way to water your herb plants. You do still have to fill the reservoir occasionally, but much less often. Drip irrigation systems for potted plants. These systems can be set up to automatically water your potted herb garden or even raised bed or elevated gardens. You set up a soaker hose or a patio drip system which is connected to a timer. This type of system is perfect for anyone who travels frequently or has a busy schedule. For more ideas and products to make watering easier, see our article on automatic plant watering systems. Finally, remember to think about the individual herbs needs. Some herbs do not require as much water – specifically the Mediterranean herbs such as Rosemary, Thyme and Sage are more tolerant of drier conditions. 5- Apply A Nitrogen Rich Fertilizer That Will Promote Strong Leafy Growth. It is important to fertilizer when growing herbs in containers since they have no other way of receiving nutrients. Fish emulsion or seaweed extract fertilizers are good choices for herbs. 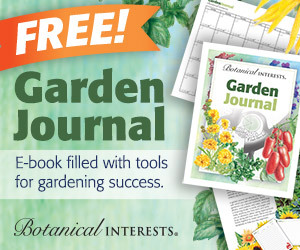 Herbs will require more fertilizer during periods of strong growth such as mid-summer. At a minimum, you should fertilize your herbs on a monthly basis. Check the label of your potting mix, it may have container fertilizer within the mix, so wait until the period of time listed on the package has elapsed before adding additional fertilizer. 6- Harvest & Prune Your Herbs Frequently. Herbs are at their freshest in the morning hours just after the dew has dried. This is a perfect time for harvesting. Don’t forget to prune your container herbs to keep them bushy. Whether you are growing herbs in containers or in the ground, most herbs grow better with a frequent pruning. This will encourage them to stay bushy and prolong the length of the harvest. If you see any flower buds starting to develop early, snip them off to extend their life in the garden. Follow these six simple rules and you will become a pro at growing herbs in pots.